Connect SamCart to 500+ apps by integrating with Zapier. SamCart's integration with Zapier allows you to create custom integration rules between SamCart and +1,000 different applications. If you're not familiar with Zapier, it allows you to create custom automations (which they call "Zaps") between different applications. A Zap works like an "If/Then" statements, that you get to customize. For example, you can create a Zap like this, "If a new order is placed in SamCart, send a message into my Slack channel". If X happens in SamCart, then do Y inside of Slack. Make sense? And because Zapier connects with so many different applications, the combinations of are endless. Below are the steps you need to connect SamCart to Zapier, and some recommendations on how to get the most out of this integration. Login to your Zapier account, navigate to Connected Accounts, and select SamCart. You will be asked to login to your SamCart account. After you login, you can choose which SamCart Marketplace you want to connect to Zapier. Click Accept, and that's it! You can now start using SamCart is your Zaps. Now you're ready to create your first Zap. And every Zap starts by picking a Trigger. If a Zap is like an "If/Then" statement, the Trigger is the "If". If X happens, then do Y. After picking your Trigger, you can run one or more Actions inside of hundreds of different applications. Each application has it's own unique Actions to choose from. 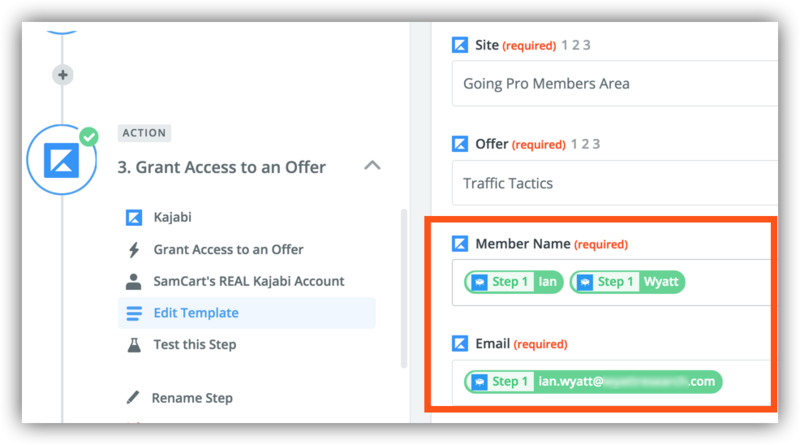 After any SamCart Trigger, you can add tags in ConvertKit, grant access to a Kajabi offer, ship new orders in ShipStation, log new charges in QuickBooks, send messages in Slack, and everything in between. 1: When a new order is placed in SamCart, create them an account with Kajabi. 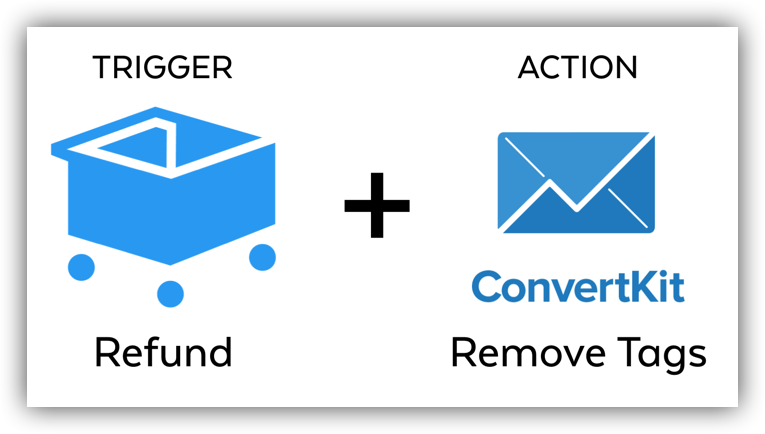 2: When a refund is given in SamCart, remove tags inside of ConvertKit. 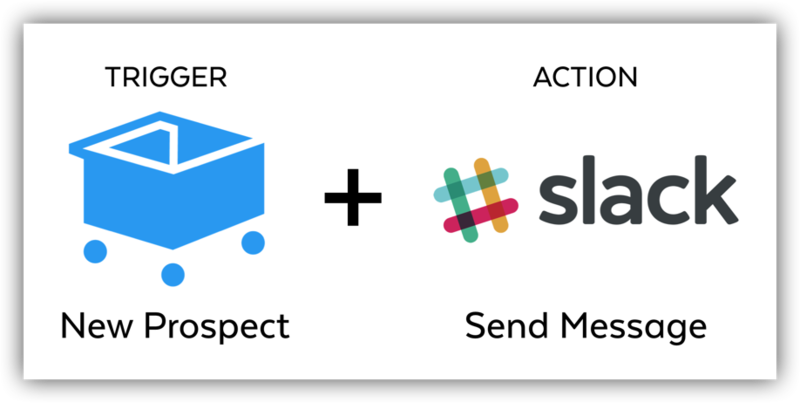 3: When a new prospect is created in SamCart, send a message into Slack. Each time a Trigger event ocurrs, SamCart passes your customers' information over to Zapier. Each Trigger passes slightly different information, but generally always includes information like a customer's name, email, what products they purchased, their shipping address, custom fields, order price, etc. You can use this information to customize your automations, like you see in the example Zap below. 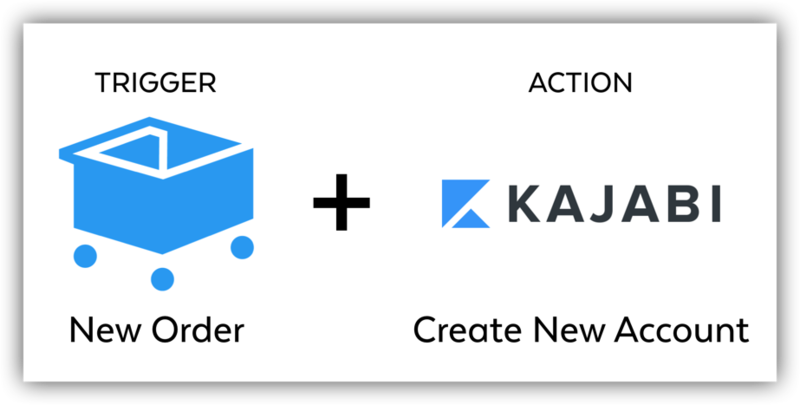 This Zap's Action is to grant a customer access to an offer in Kajabi. I am using information passed over from SamCart, that will automatically pull in each customer's first name, last name, and email before sending that info over to Kajabi. Filters are a way to ensure actions get performed only on the items you want. With filters, you set a specific condition (e.g., when "Product Name" field contains "My Awesome Product") that decides wether the Action(s) of your Zap will fire. When the data from the Trigger meets the conditions of a filter, it proceeds to the next action(s) in your Zap. If a filter stops an item, then no actions are performed. Zapier Filters are best used when you only want your Zap to run when specific products are orders, refunded, etc. You can use any information SamCart provides to create your filter. We recommend using the "Product Name" field "Contains" when creating your Filters, as pictured below. 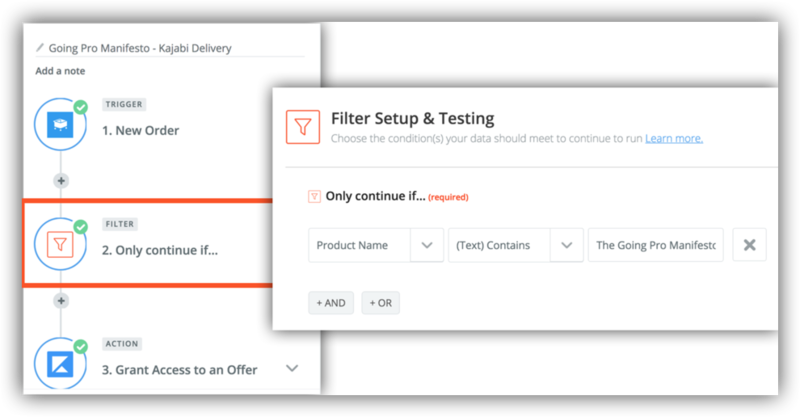 You can learn more about Zapier Filters in this article from Zapier. Check out this video to learn more about sending your SamCart Prospects over to Zapier! Get some ideas for how to best use this integration to re-capture those lost sales.